The Christ Covenant Missions Conference is an annual event where our church dedicates time to engage its members in the advancement of the Kingdom of God. Sunday, February 17 will focus on international missions and will include guest missionaries from North America, Europe, and Asia. 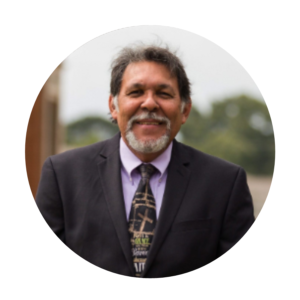 Dr. Elias dos Santos Medeiros, Professor of Missions at RTS Jackson, will preach in the morning and evening services. Sunday, February 24 will be a local ministry focus, and local ministries will be set up in the worship center hallways for you to learn how you can be involved in what God is doing in our city. Our Faith Promise gifts support these and other missionaries through Christ Covenant. Click here to go to our Faith Promise page for more information. You won't want to miss this opportunity to be encouraged and challenged! Dr. Elias dos Santos Medeiros has been an ordained minister of the gospel since January 1975. While in Brazil he worked in pioneer church planting in the Amazon region and in Recife (rural and urban). He also taught at several theological institutions in Brazil, including the Presbyterian Seminary of the North, and was Dean at the Evangelical Missions Center. He is a member of the Lausanne Global Diaspora Network Advisory Board and of the Brazilian Evangelical Diaspora movement. In addition to numerous articles and essays, he has written Teaching Them to Make Disciples of All Nations (D.Min), Missiology as an Academic Discipline in Theological Education (D.Miss), and The Reformers’ Commitment to the Propagation of the Gospel to all Nations from 1555 to 1654 (Ph.D). Dr. Medeiros is deeply committed to evangelism through every member of the body of Christ. He has published: E vangelização e Ministério Pastoral (Evangelization and Pastoral Ministry). Tom is married to Sharlene, and they have two kids - Clemence who is nearly 5, and Sam who will be 2 in March. Around seven years ago Tom was living in Edinburgh, working as a high school teacher, when the leadership in his home church, St Columba's, started talking about a program of church planting. He had been considering ministry for some time, and this kind of opportunity excited him. Tom changed direction, went to seminary in Edinburgh, and upon completion of his studies was asked to lead the second St Columba's plant, just south of the city in the Midlothian region. They called the church Esk Valley, and after a couple of years of planning and pre-launch activity the church is now about 2.5 years old. Esk Valley grown from an initial small core in the Muir’s home of about six people with a few kids, to around sixty (including kids). They're thankful to God for this. Ben is the ministry trainee at Trinity Church, Aberdeen, Scotland. Having previously worked in education, Ben joined the staff at Trinity as his first step in training for full-time pastoral ministry. He has now been on staff there for 2 1/2 years where he has various responsibilities within the church family. From the fall of 2019 he is very much looking forward to undertaking theological training at RTS, Charlotte, as he seeks to be further trained for pastoral ministry back in his native Scotland. Rohan and his family moved to Canada in 2003 to plant Amazing Grace Church. The vision for Amazing Grace Church is to share the transforming Gospel of Jesus so that the city of Lethbridge will become a light of renewed hope. Kruger is a pastor at Canada Water Church in London, England. Canada Water Church is a young church planted into a highly transient community in central London. The membership is made up of mainly young professionals from various church backgrounds from all over the U.K., Europe, Africa, Asia and America with around 120 people in attendance most Sundays. This diversity and the fact that we meet in a publicly accessible community centre right next to a major train station has allowed us to welcome a steady stream of enquirers over the last 6 years, seeing some of them become Christians. Our major challenge at the moment is to grow in maturity as a church. Mike and Stephanie have just completed a six-year assignment in Beirut, Lebanon. They both taught and filled other roles at the Arab Baptist Theological Seminary. It was a thrilling time with students from most of the 22 Arab world countries, coming from various religious and ethnic backgrounds — Muslims, Catholic and Orthodox Christians as well as Evangelicals. Previous to Lebanon, Mike and Stephanie served in Cairo, Egypt, Fes, Morocco and Paris, France. They have three daughters, two sons-in-law and seven grandkids, including two foster granddaughters. They have recently moved to Bellingham, WA where they will carry on a ministry of writing, teaching and speaking both in the Muslim world and in the US.